Our innovative and state-of-the-art Dolphin Center in Freeport is the ideal location from which to experience an unforgettable Bahamas dolphin experience. 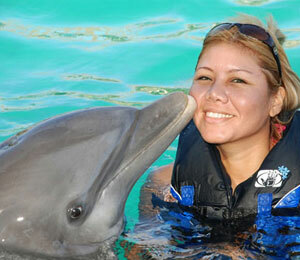 Here, our dolphins are treated with full respect and love, making them eager and happy to interact with our guests! When people think of the Bahamas, they often picture what you find at Blue Lagoon. 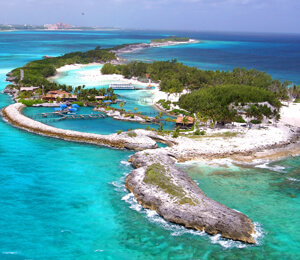 Located just a few miles from Nassau, Blue Lagoon is the tropical paradise you have been looking for. The island is home to one of the world's top dolphin centers, allowing guests to encounter and interact with the friendly sea mammals. Limited Spaces Available! For reservations call 800-688-5871. 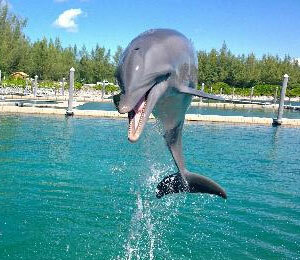 Nassau and Freeport Bahamas offer the most incredible dolphin encounters in the world. The islands of the Bahamas offer plenty fun in the sun activities, but none can compare to a personal encounter with a dolphin. 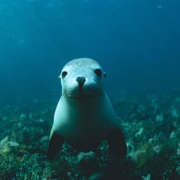 These marine mammals are as majestic and intelligent as they are playful. 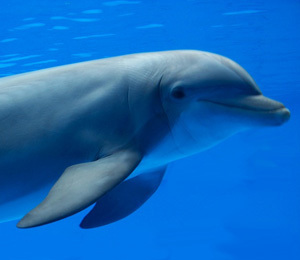 Of course, there are plenty of dolphin tours and excursions to choose from that are in the Bahamas, but none will be the same as the ones we have listed on Bahamas Dolphin Encounters. We have taken the time to pick the top-rated tours from Freeport and Nassau to make it easier for you to choose for your Bahamas vacation. If you are staying in Nassau, Bahamas, and looking to make an unforgettable memory, than you need to visit the famous Blue Lagoon. The Blue Lagoon offers both dolphin swims and dolphin encounters in what may be the most beautiful setting in the world. The Blue Lagoon is the closest it gets to a dolphin's natural habitat, and has been given world recognition and awards for the care and research they have done for dolphins. 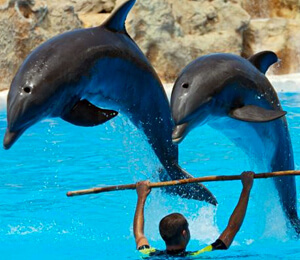 You'll notice these dolphins are happy to interact with humans, and the respect and care that the trainers have for the dolphins. The Blue Lagoon offers two types of dolphin tours, the Blue Lagoon Swim with Dolphins tour, and the Blue Lagoon Dolphin Encounter, which gives the people who want to come face to face with a dolphin but are not comfortable with swimming with one yet. 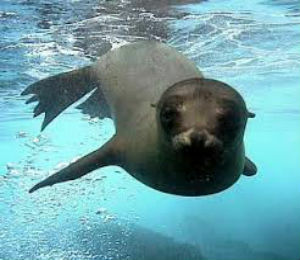 If you are looking for something more fuzzy and cuddly to have an encounter with, the Blue Lagoon also offers a Sea Lion encounter. This encounter is the closest anyone can get with hands on contact with the California Sea Lions. 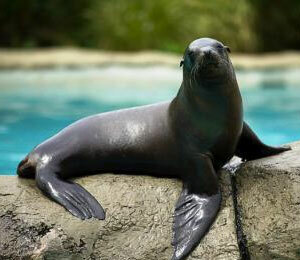 Visitors get a chance to get some training tips from the sea lion's trainers, and get to put them in action while interacting with the adorable pup from the sea. If you are visiting the city of Freeport on the island of Grand Bahama, you are in luck! 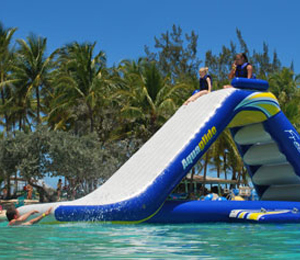 Freeport boasts one of the best dolphin centers anywhere in the Caribbean, ran by UNEXSO. At the dolphin center in Freeport Bahamas, we have a variety of top-rated dolphin excursions ranging from encounters to full dolphin scuba dives! The popular UNEXSO Dolphin Close Encounter tour give you the chance to touch the dolphins in waist-deep waters and even give them a hug. If your looking to get more up close and personal and actually swim with the dolphins, then we suggest looking at the UNEXSO Swim with the Dolphins program that allows visitors to swim, touch, and hold on to the dolphins fin as they take them for a ride! If you thought it couldn't get any better than this, then think again. If you are more the adventurous type, and want to swim with dolphins in the wild, then the UNEXSO Open Ocean Dolphin Experience is the perfect choice for you. 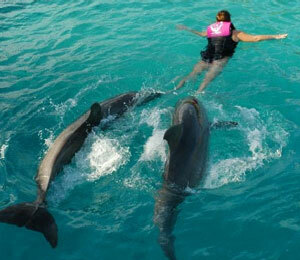 On the tour, you get to swim next to dolphins in their natural environment, the Atlantic Ocean. Are you looking to one up your scuba diving experience in Freeport? The UNEXSO Dive with Dolphins gives divers the chance to not only explore the coral reef gardens, but to also interact and dive with dolphins in their natural habitat.